CSC ARMS "War Fighter" 300Black out 16"
CSC ARMS "War Fighter" 5.56/.223 16"
Description: CSC ARMS "War Fighter" 5.56/.223 16". This is our War Fighter model at a affordable price for everyone. You won't find that deal anywhere. This rifle can be upgrade as you please. CSC Arms receivers 7075 Billet Aluminum. CSC 15" Slim Line Free Float Rail Key Mod. 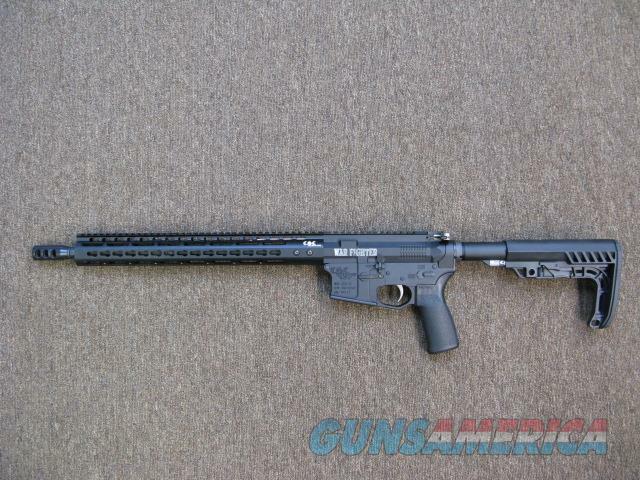 CSC Arms 16" 5.56/.223 match grade 1/7 Twist Nitrided coated in and out, Mid length gas system very accurate barrel. CSC ARMS Nickel Boron coated bolt carrier, Bolt is HPT/MPI. CSC Comp. 3.0 lbs Trigger. CSC Arms 3 port muzzle brake The flatest shooting rifle in the industry. M4 style furniture. Rifle comes with 30 round magazine and hard case. Any questions contact CSC ARMS . CSCARMS @ATT.NET. Flat rate shipping $40.00.